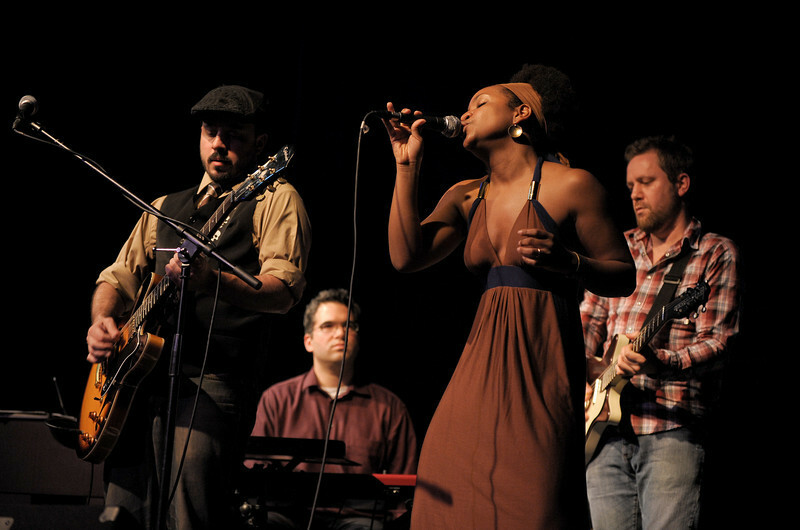 Akina Adderley & the Vintage Playboys is an Austin Soul band whose unique sound blends elements of Rock, Funk, and old-school R&B. Front person/vocalist Akina lights up the stage as "the little woman with the big voice." Granddaughter of jazz trumpet great Nat Adderley, great niece of jazz saxophone legend "Cannonball" Adderley and daughter of Nat Adderley, Jr. (producer/pianist/band leader for Luther Van Dross), Akina brings a distinguished musical pedigree to the Vintage Playboys, who are a tight group of seasoned players from an eclectic musical background. The brainchild of four inspired musicians, AAVP is now a powerhouse 9-piece, and has become a vital part of Austin's newly resurrected "Soul Scene." The band has been playing for nearly 3 years, and has shared bills with such acts as Big Sam’s Funky Nation, Gary Clark, Jr., T-Bird & the Breaks, Pinetop Perkins, The Greyhounds, and Carolyn Wonderland. On the heels of a tremendously well-received SXSW '09 showcase, a successful taping for Radio Without Borders on Austin’s KUT 90.5 FM, and an enthusiastically welcomed debut album release, AAVP's fans and audiences are steadily gaining numbers. AAVP’s eponymous debut full-length record was released on March 28, 2009. The album is available on iTunes and CDBaby.com, as well as in Austin at Waterloo Records, Antone’s Records, and Cheapo Disks. SHAKE IT LIKE A TAMBOURINE!